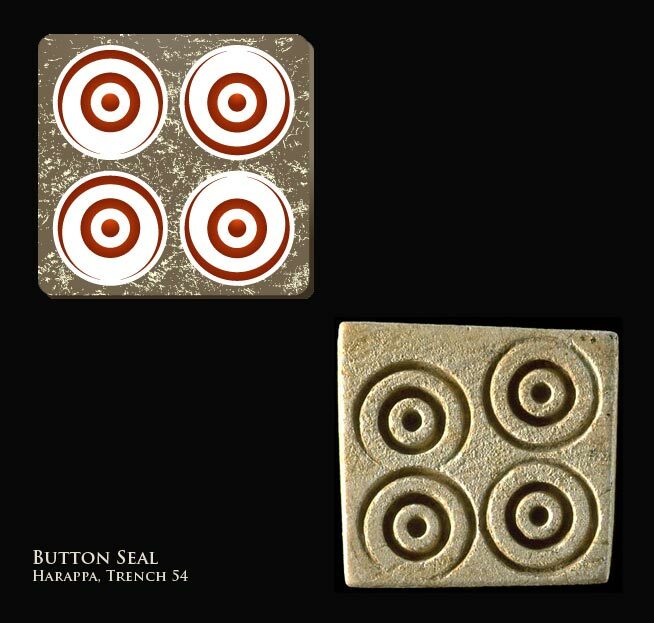 Fired steatite button seal with four concentric circle designs from the Trench 54 area found at Harappa in 2000 (H2000-4432/2174-3). Although seals have a very specific function that involves the stamping of a design or motif on another material, they also represent a unique aspect of graphic design in the Indus civilization. Many of the designs and motifs seen on seals have links to earlier pottery motifs and petroglyphic carvings that date to earlier periods. The Indus Seals: An Overview of Iconography and Style, an article by Mark Kenoyer explores the many types of seals.